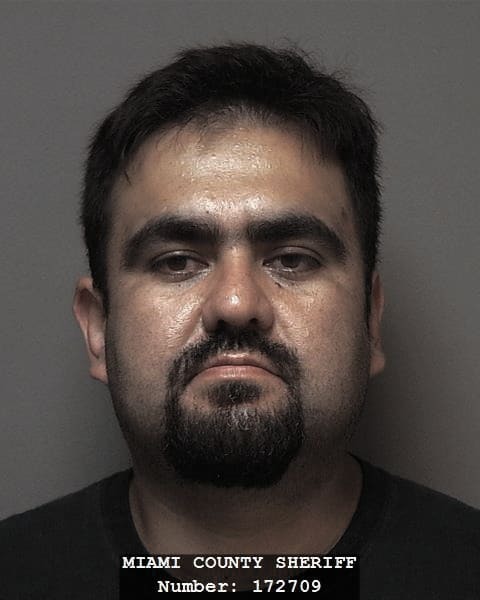 MIAMI COUNTY — Jesus H. Garcia, 37, of Troy, was arraigned on charges of three counts of second degree felony identity fraud, no operator’s license and three counts of second degree felony tampering with records in Miami County Municipal Court on Wednesday. His bond was set at $81,000 cash bond. A court-ordered Spanish interpreter also was ordered. Miami County Sheriff’s Office deputies made a traffic stop at 504 S. Union St., Troy at around 11 a.m. Tuesday. Deputies arrested Garcia after he allegedly failed to give a valid name and Social Security number to identify himself. Garcia has a pretrial conference at 1 p.m. June 23.